If no one participant wins the entire prize, other participants who install their Blue Button(sm) PHR on fewer than 25,000 physician websites may share in a partial prize. See rules for details. 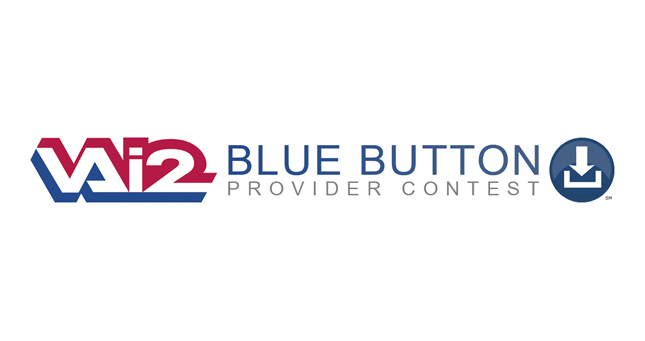 VA wants to encourage widespread use of Blue Button℠ personal health records (PHRs) outside Federal health care programs to benefit all Americans -- including Veterans who receive care from non-VA providers. VA will award a prize of $50,000 to the PHR developer which arranges with 25,000 physicians or other clinical professionals to install a Blue Button(sm) PHR on the physician's website. Partial prizes for fewer installations are possible: see the contest rules. To enter this contest, you'll need to either develop a new Personal Health Record (PHR) or adapt an existing PHR so patients can download their data using the simple Blue Button(sm) download function. Then work with physicians and clinical professional groups to install your application on their websites so their patients can use it. Once you've achieved installations on the websites of 25,000 physicians or clinical professionals, send in your entry with the required documentation. If you're the first to do so, you go home with the $50,000 prize. If you don't get 25,000 installs, enter anyway by the deadline: you may qualify to share the prize with others. As with any contest, the rules are important and you can read them on this website. If you have any questions about the rules, please contact us using the moderated blog, also on this website. As a participant in this contest, you have an opportunity not just to win a substantial prize, but to help make real and important changes in how all Americans get access to their own health data and, if they want, arrange to have their health data sent to doctors and hospitals. In other words, it's not just about the money. It's about making a difference. Important: If you arrange to install your Blue Button on the website of a group of 100 or more physicians or clinical professionals -- fantastic! But for that large of a group to count toward the 25,000, you'll need to get a signed confirmation from the CEO or equivalent of the group. The confirmation must have the name, street and email address and telephone number of the group, the url where the application is installed, and the name and title of the CEO or equivalent. Don't send the confirmations with your entry, but have them ready for review during judging. See the rules for judging criteria. Basically, we're looking for a simple, secure and convenient app which uses the Blue Button(sm) technology and which is installed on the websites of 25,000 physicians across America. See the rules for more details.